University of Connecticut professors Lynn and Martin Bloom created a charitable gift annuity with TechnoServe. 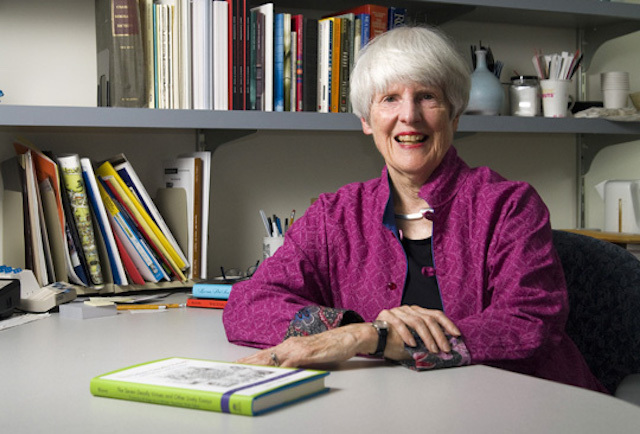 Lynn, Board of Trustees Distinguished Professor of English, conducts writing research and writes creative nonfiction. Martin, Professor Emeritus of Social Work, writes about preventive health care and creates collage art. The couple lives in Ashford, Connecticut, and supports numerous charitable initiatives. Why did you decide to support TechnoServe? TechnoServe meets all our criteria for a well-run, significant charity. When we are interested in a category of donations, we consult Charity Navigator and respect the 4-star ratings to help us make our choice. We particularly look for the organization’s principles, transparency of accounting and efficiency: what percentage of the money collected actually goes to the work that the organization does. Have you traveled to any of the places where TechnoServe works? We were in Guatemala several years ago and became aware of the ways in which access to finance was helping enterprising women become self-supporting. What struck us was the intelligence and the energy of the women doing this work, as well as the beauty of their textiles, true works of art for which they receive far too little compensation. Why did you choose to start a charitable gift annuity? We have been contributing to a wide variety of charities ever since we finished graduate school — at first, relatively small amounts that reflected our income at the time, and gradually increasing. As we get older, we are giving larger charitable gift annuities so as to continue giving back to society, while still feeling secure in receiving an annual income. Charitable gift annuities are a win-win situation — feeling good about doing some good. Giving to TechnoServe is a way to help resilient people whom we might never meet personally, and thereby contribute to some small degree in the ongoing effort to improve the family of humankind.